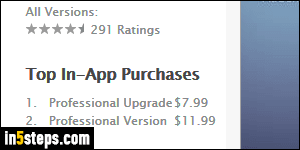 At some point, you will come across the following problem in iOS apps that are (typically) free, but include additional features through "in-app purchases": a new version is released, or at least some upgrades, and all of a sudden, you're back to using the free, limited-functionality version of the app. 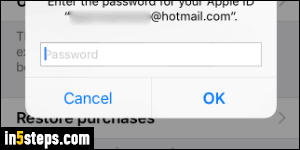 Before you send angry emails to its developers or contact Apple customer support for a refund, try the easy thing first, described in this tutorial: restoring your purchases! The app I'm using as example doesn't really matter: and I happen to be using an iOS app on iPhone, but the steps would be the same for an iPad or iPod touch. The main point is that each app is different: the only thing you need to access is that app's settings. This is nearly always where developers include the ability to restore previous in-app purchases you may have made. 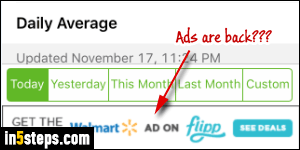 In some cases, this will also allow you to remove the ads from the free version. Once on the app's option page, find a setting that allows you to revert to the full functionality. 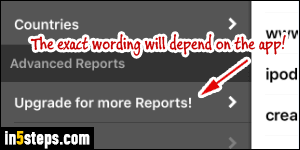 In my case, it's called "Upgrade for more reports", but anything suggesting additional functionality will do: the app won't charge you until you confirm any kind of purchase with the iTunes Store / App Store. Sure enough, this lead me to a Settings screen, including the ability to make in-app purchases (which I've already done) or "restore purchases": tap on that option. 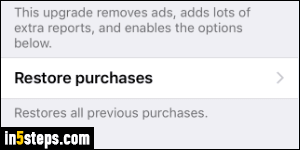 Depending on the app, you may be able to choose individual upgrades, but generally, any upgrade you ever bought will automatically be restored! You should now see an authentication or confirmation request from Apple: either enter your account password, or click on the confirmation button that restores the in-app purchases. Make sure that the button doesn't say "Buy", though, otherwise it you'd probably be charged (again!) If that's the case, contact Apple's tech support department to either reimburse you for the app, which you can then buy again, or email the developer for instructions.